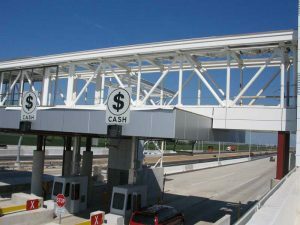 We provide engineering design and construction-related services for a wide array of tollway projects. Everything from lane widening and alignment modifications to toll plazas to interchanges and entry and exit ramps. We have designed new superstructures, as well as the rehabilitation of existing superstructures for over and under-passes, and noise abatement facilities. Contact us for more information about our Tollways Services.